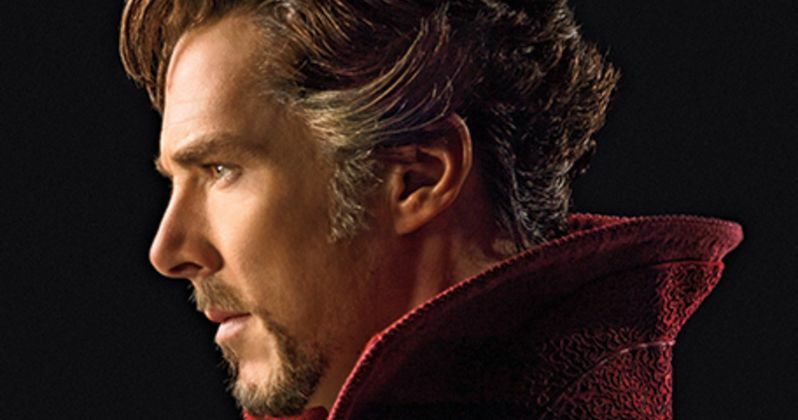 Over the weekend, a number of new set photos surfaced as Marvel's Doctor Strange shifted production to New York City. As it turns out, the Big Apple shoot was an abbreviated one, as director Scott Derrickson announced on his Twitter page yesterday that filming had wrapped. Earlier this morning, the director also sent out another photo with his crew in Nepal, thanking them for their hard work on the set. Production started back in November, with filming first taking place in Nepal, before moving to London, Hong Kong, Kathmandu and New York City. Some of the new images that surfaced from the New York set this weekend gave us our first look at Mads Mikkelsen as the mysterious villain, but we still don't know exactly who he's playing at this time. The actor was shown wearing unique makeup around his eyes, with a mysterious female character who also had the same makeup. Doctor Strange tells the story of Stephen Strange (Benedict Cumberbatch), an acclaimed neurosurgeon who uncovers the hidden world of magic and alternate dimensions after a near-fatal car accident. The film will show audiences corners of the Marvel Cinematic Universe never before explored, thanks to director Scott Derrickson. Doctor Strange is set for release on November 4, going up against Warner Bros.' Bastards and 20th Century Fox's Trolls. The supporting cast for Doctor Strange includes Tilda Swinton, Chiwetel Ejiofor, Rachel McAdams, Michael Stuhlbarg, Amy Landecker, Scott Adkins and Mads Mikkelsen. Marvel still hasn't revealed which characters Amy Landecker, Scott Adkins, Mads Mikkelsen and Rachel McAdams are playing just yet, but there are rumors that Rachel McAdams is playing the Night Nurse. Tilda Swinton is playing the Ancient One, with Chiwetel Ejiofor portraying Baron Mordo and Michael Stuhlbarg playing Nicodemus West. Scott Derrickson is directing Doctor Strange from a script by Jon Spaihts, based on the comic book character created by Stan Lee and Steve Ditko. Now that filming on Doctor Strange has wrapped, it remains to be seen when the first trailer may arrive. Until then, take a look at director Scott Derrickson's final photos from the set of Doctor Strange, arriving in theaters this November.